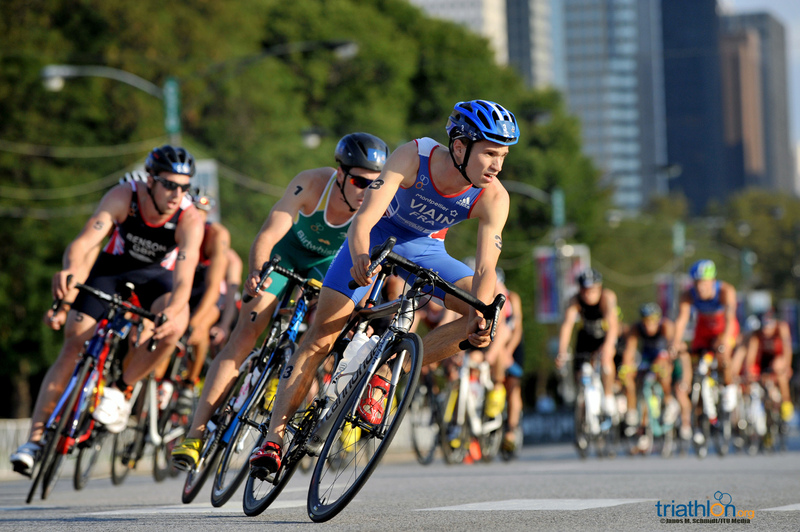 The 2015 ITU World Triathlon Grand Final Chicago officially kicked off with the Under23 men’s World Champion being crowned. 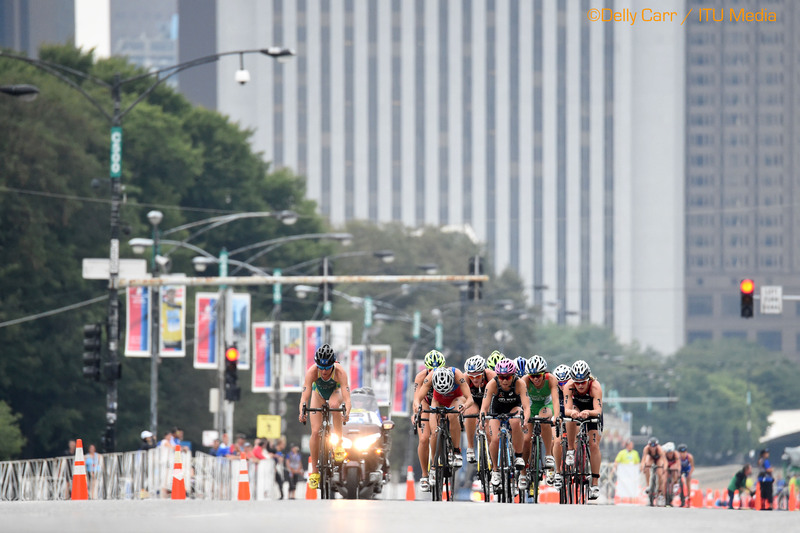 The 2015 ITU World Triathlon Grand Final Chicago officially kicked off Thursday morning with the Under23 men’s World Champion being crowned. 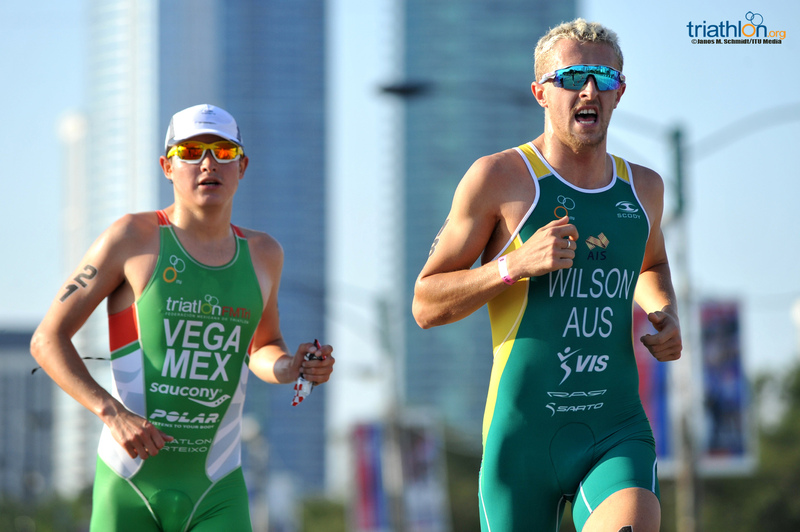 Jacob Birtwhistle now tallies one title for the Australian nation as he was victorious in the first triathlon race of the Grand Final event. 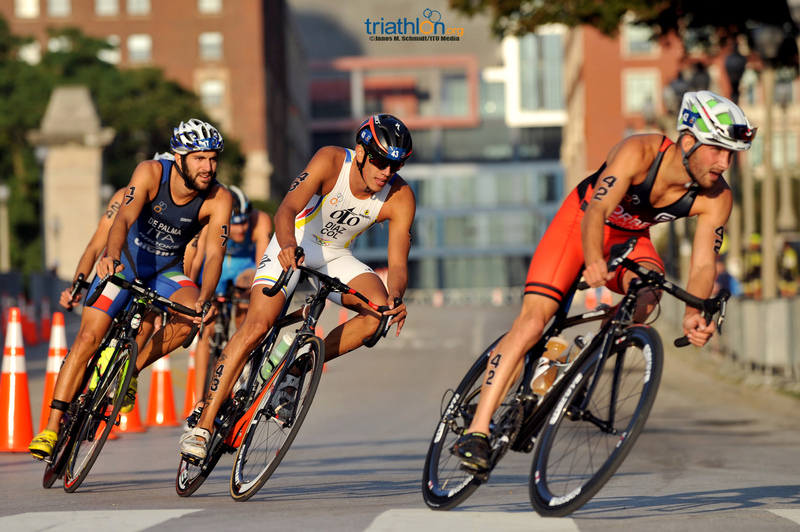 Birtwhistle demonstrated leadership throughout the three disciplines, as one of the top men on each leg of the triathlon. 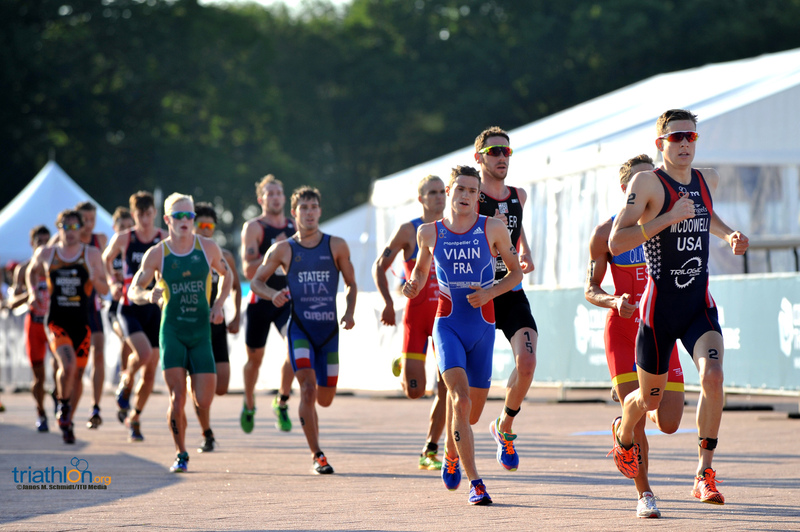 In the last lap of the run, he separated himself from a five-man front pack to ultimately win the race and take home the World Champion honour. 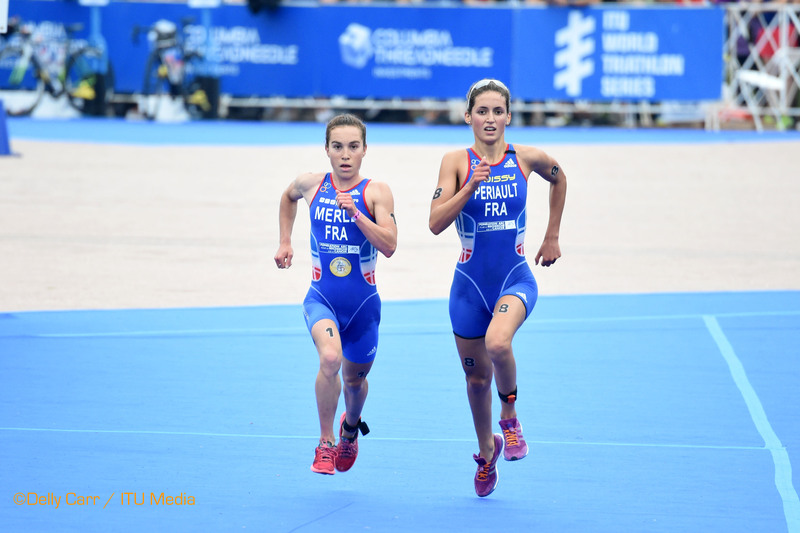 Coming across the finish line to stake out the remaining two spots on the podium was Spanish compatriots David Castro Fajardo with silver and Nan Oliveras with bronze. 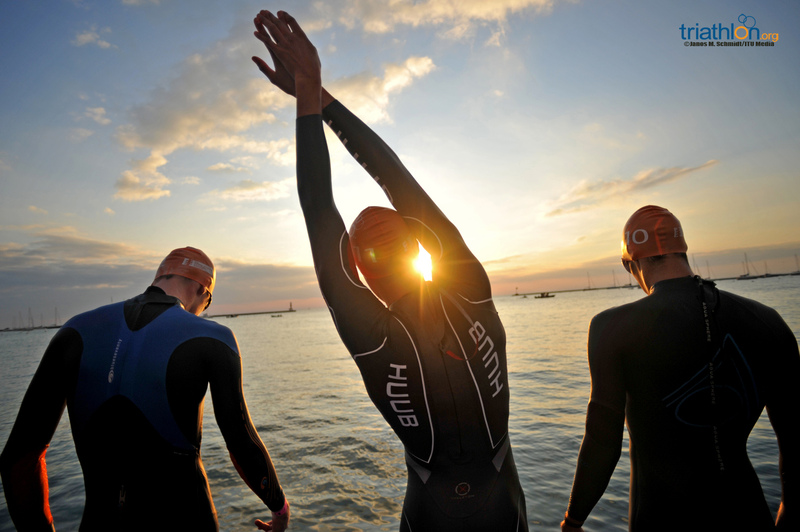 The early morning race started just as the sun peaked up from the Lake Michigan horizon. 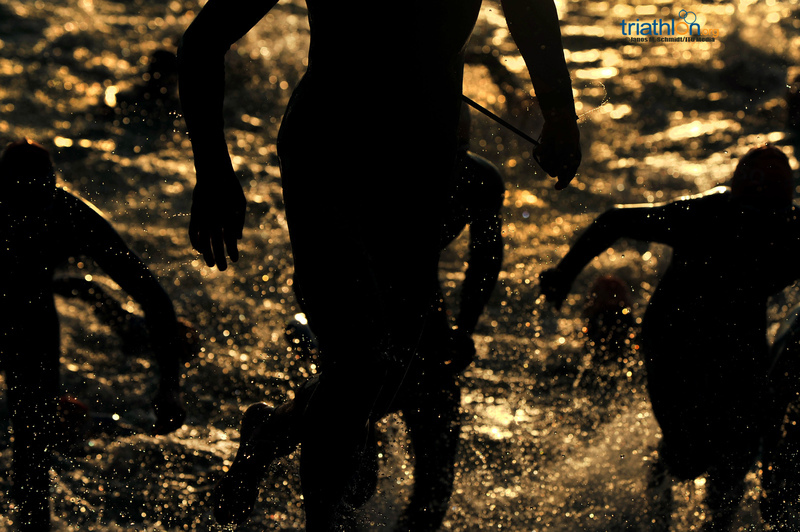 The Under23 swim course featured just one 1500 metre lap, which left the athletes finishing in the water without a second dive from the pontoon. 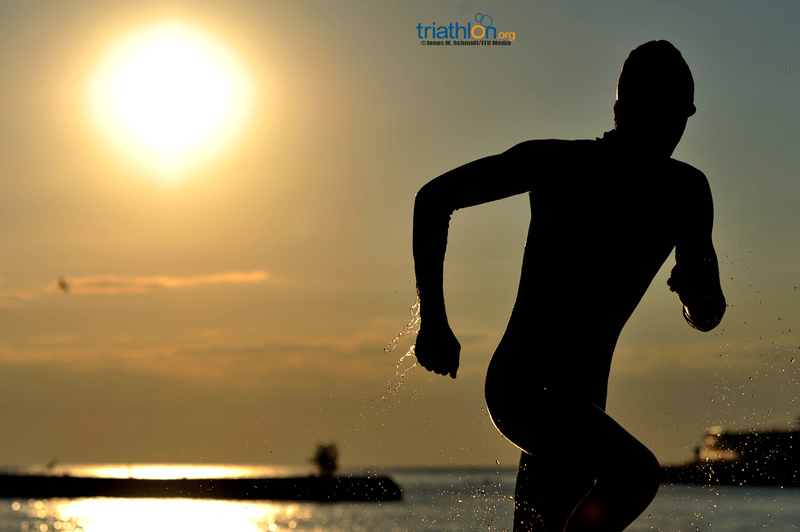 Clearly dominating the distance was Seunghun Seo (KOR), who exited the swim with a lead of 13 seconds heading into the first transition area. 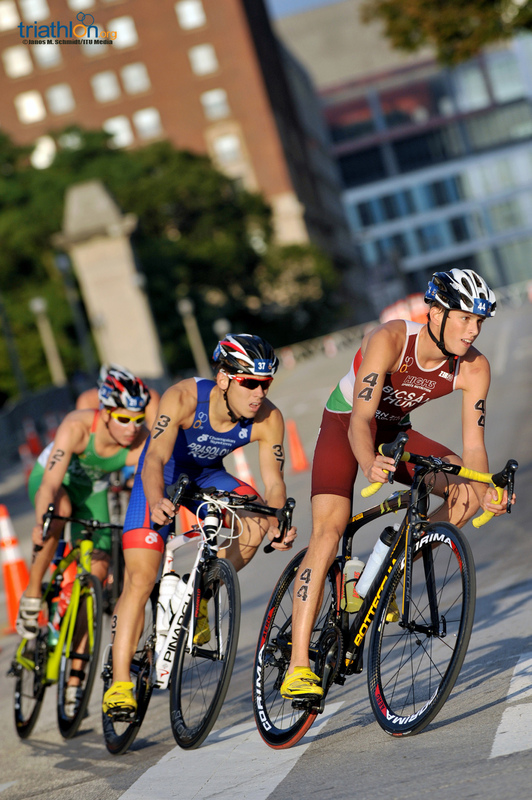 The bike course started out with a group of 30 men led by Alexis Lepage (CAN) and Gordon Benson (GBR), with the chase down by just over 30 seconds. 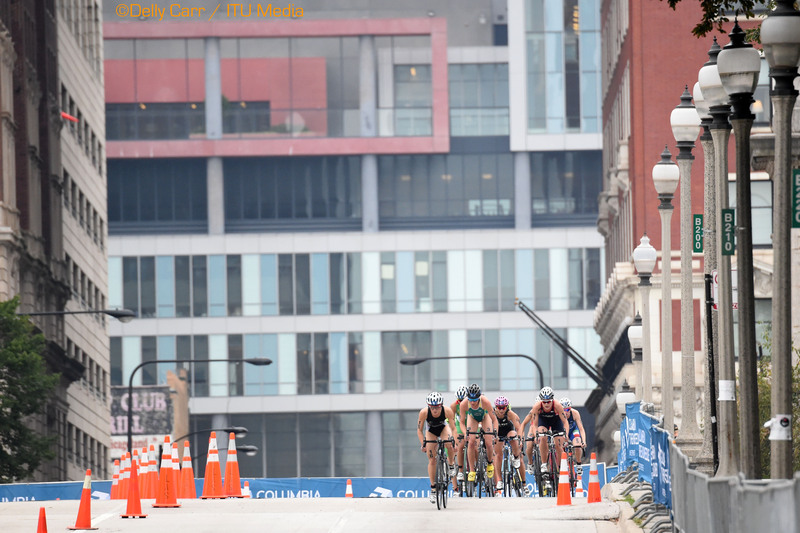 But halfway through the bike course, the chase made a huge push and was able to make up over 10 seconds on the leaders. 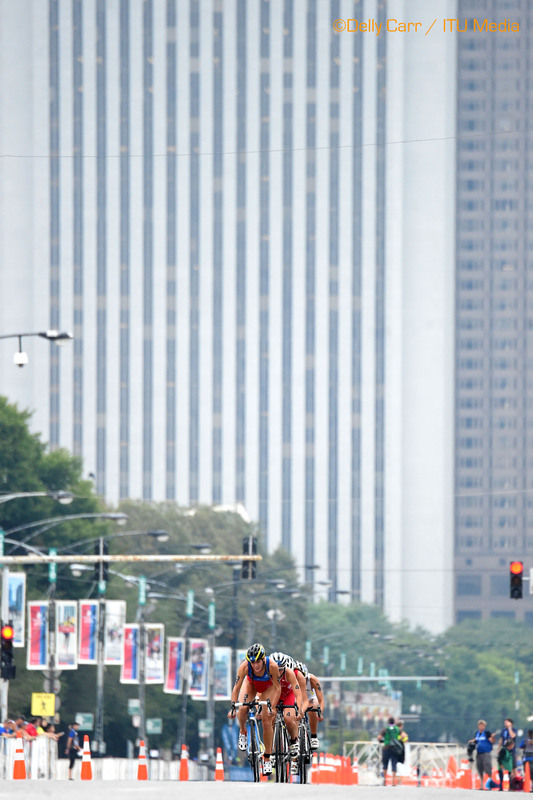 That push would continue for the remaining two laps until the bell sounded signaling the final bike lap, the chase merged to the front and caused a peloton to form that tallied 41 athletes. 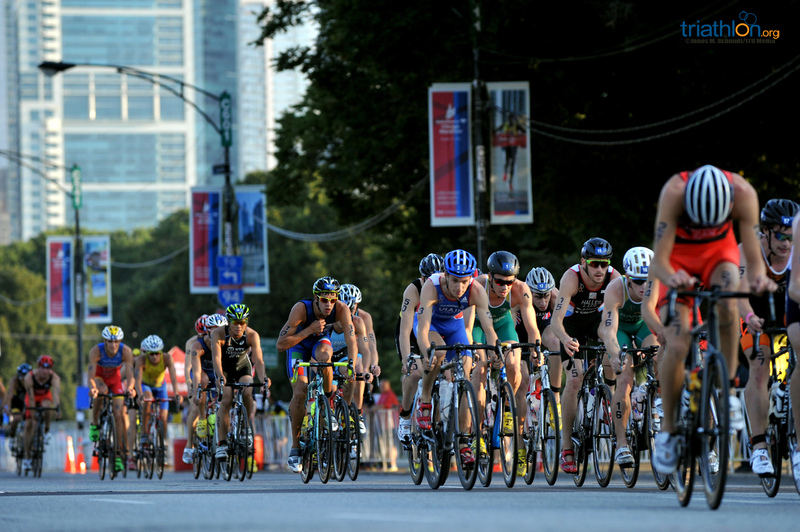 With a lead pack large in size, the second transition zone was busy and crowded. 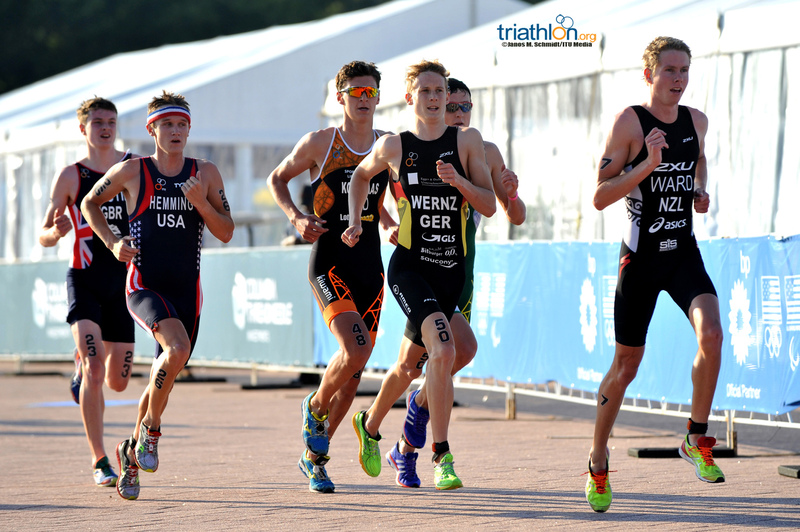 But that didn’t stop Birtwhistle, Benson, Lepage and Kevin McDowell (USA) from blasting through and taking an early lead to start off the run leg. 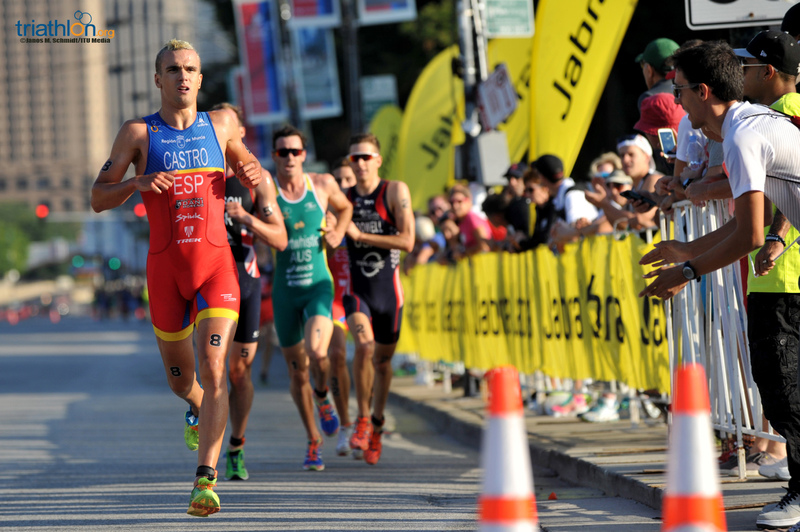 During the first 2.5 kilometres, Lepage dropped off and instead was replaced with Spaniards Castro and Oliveras. 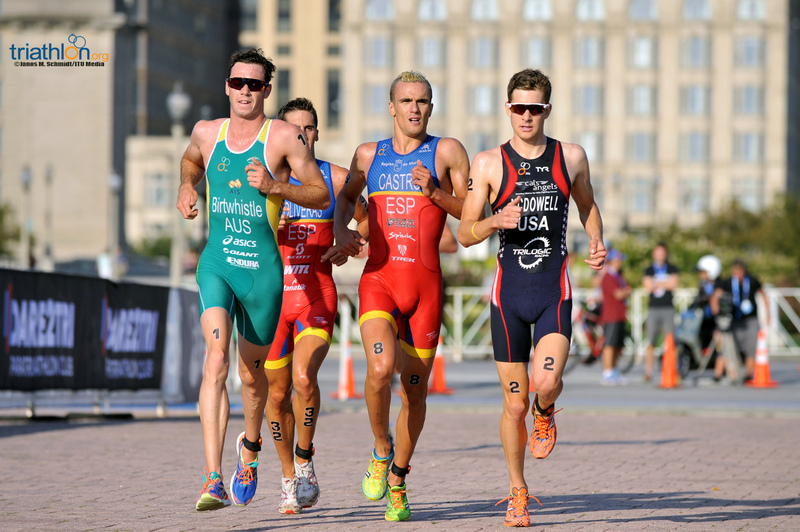 The five men grouped together and ran as leaders for the majority of the last field. 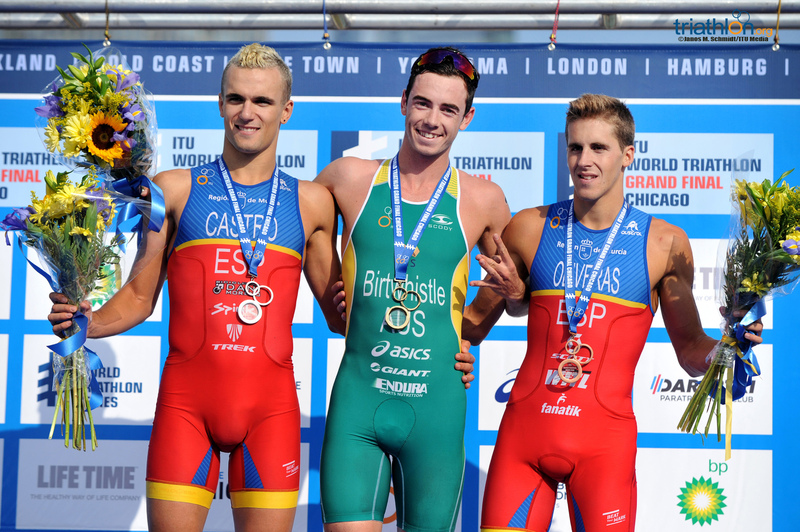 Not until the last kilometre did the podium seem to work itself out. 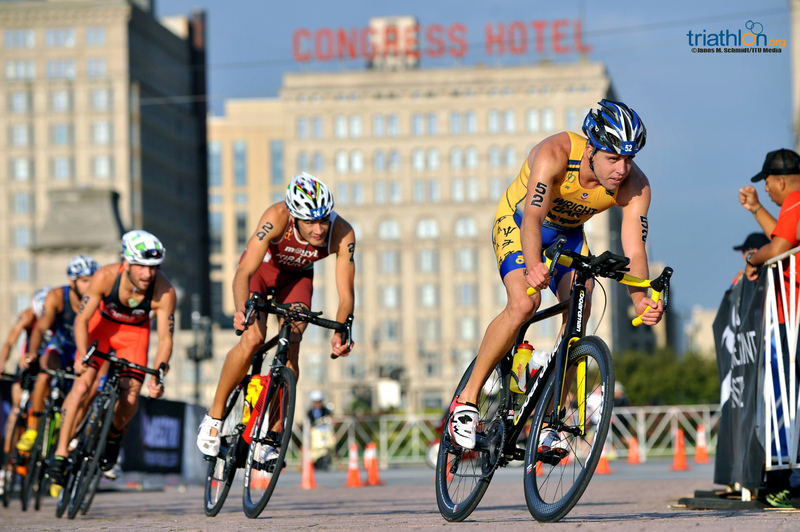 Birtwhistle kicked in a last burst of energy to sprint ahead and run into the finish line solo and claim his World Championship crown. 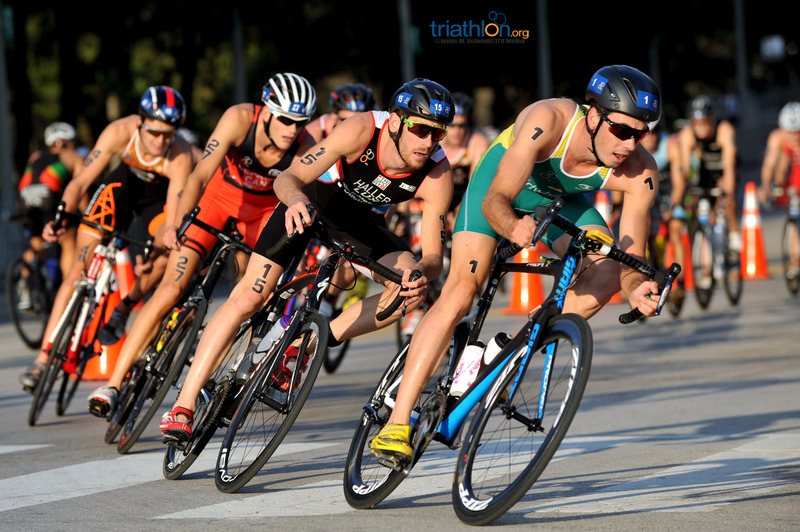 A crown that hopefully will add an extra boost of confidence as he is also set to compete in the elite men’s race on Saturday, as well. 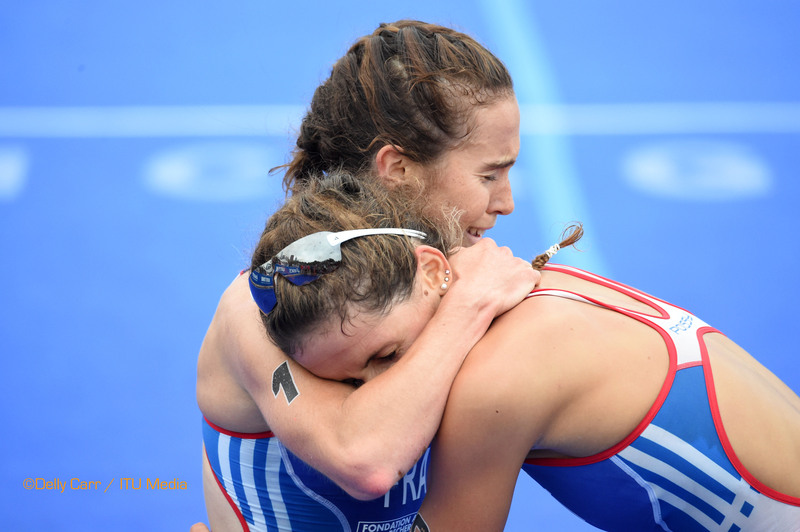 Castro came onto the carpet 14 seconds later to finish out the race with a silver medal. 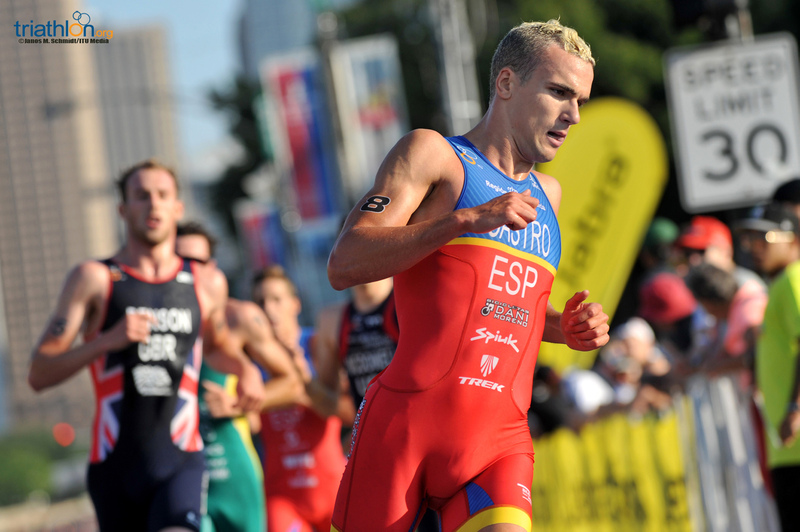 The Spanish team was especially strong today as Oliveras was able to take home the bronze medal and give Spain two medals to its total. 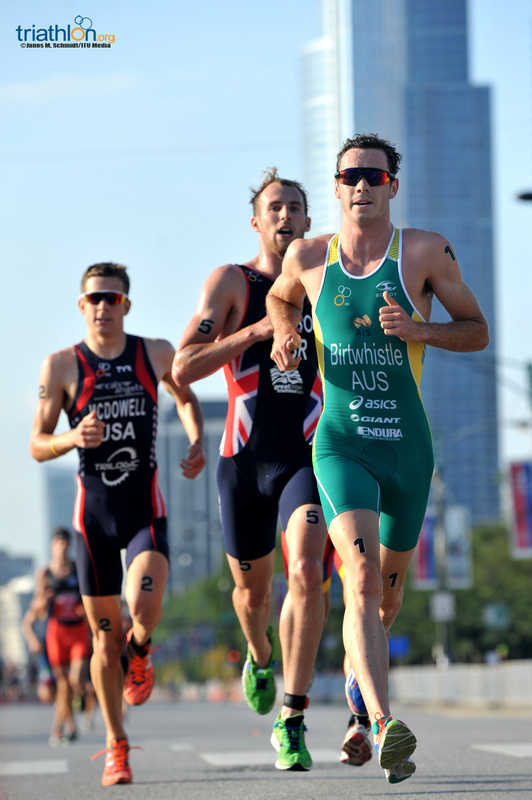 With the added motivation of running on home soil, McDowell finished the day in fourth place, a strong position as he now prepares to tackle the elite men’s race. 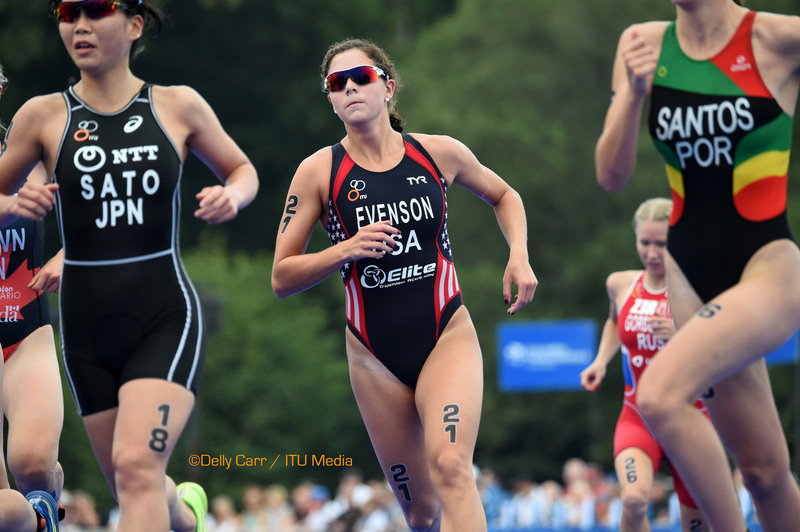 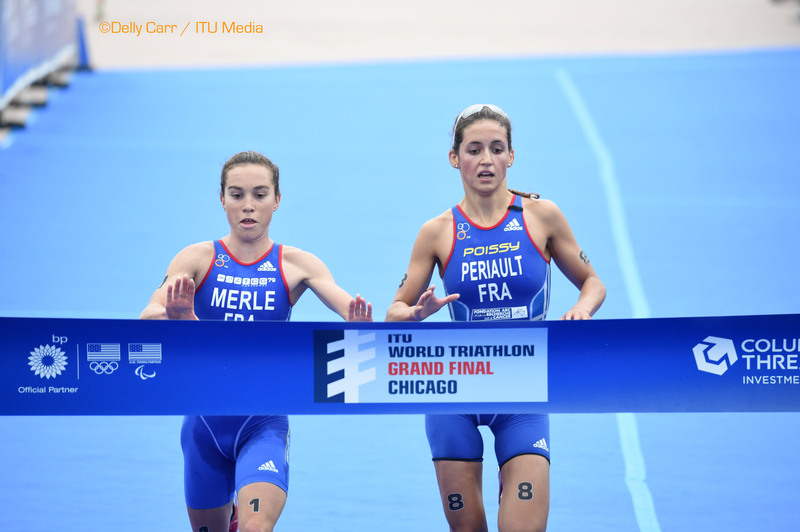 The ITU Aquathlon World Championships kicked off a week of action at the ITU World Triathlon Grand Final Chicago on Wednesday with elite, paratriathlon, junior, U23 and age groupers racing over a 750m swim and 5km run. 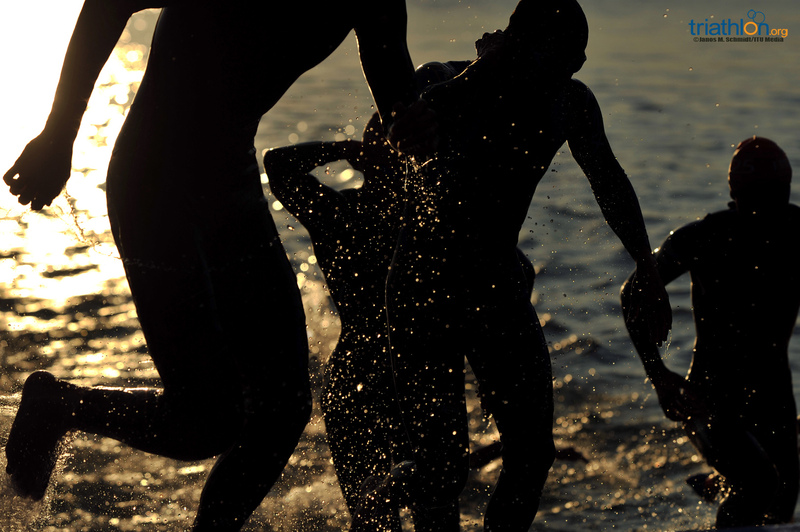 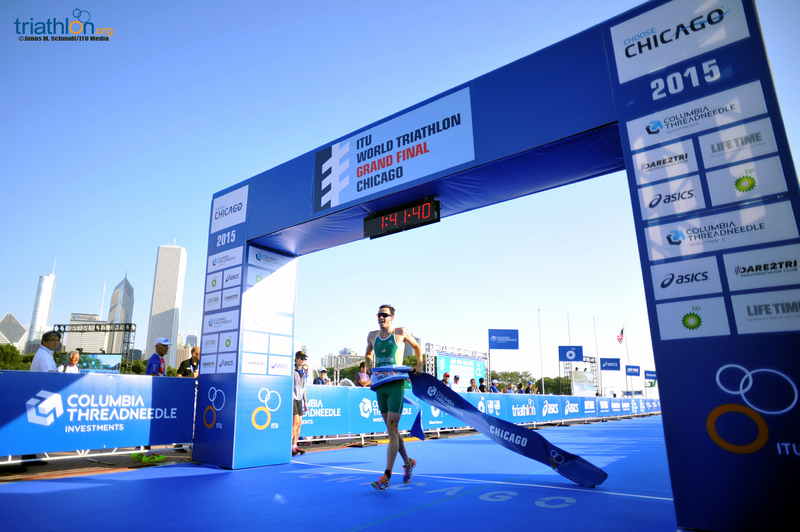 WADA and ITU today launched the second installment of WADA’s Legacy Outreach Program series at the World Triathlon Grand Final in Chicago, which runs from 15-19 September. 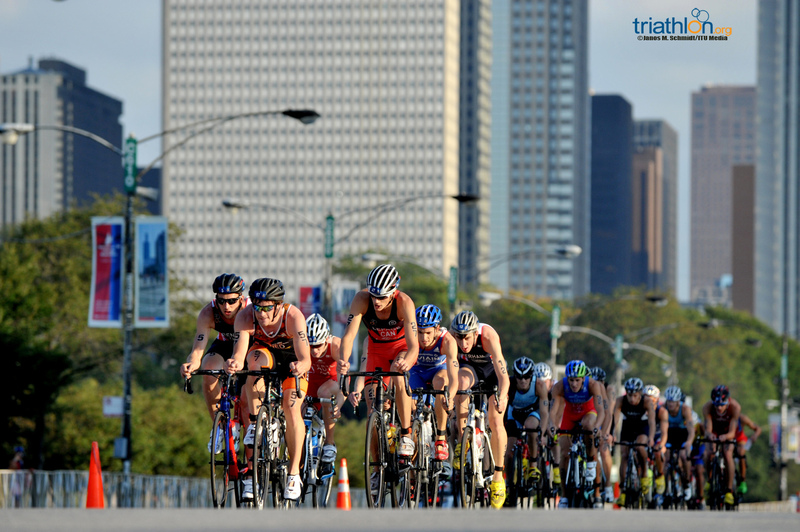 In this special edition we preview the 2015 ITU World Triathlon Grand Final Chicago, and also look back on some highlights of the season so far, brought to you by Columbia Threadneedle. 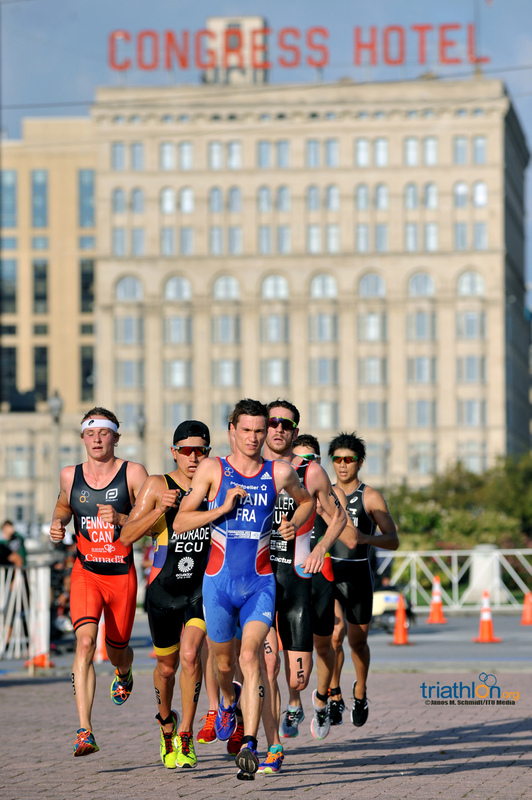 The race for the men's elite World Championship title is one of the closest to be contested since the start of the ITU World Triathlon Series, with only 530 points separating the top four men in the Columbia Threadneedle Rankings. 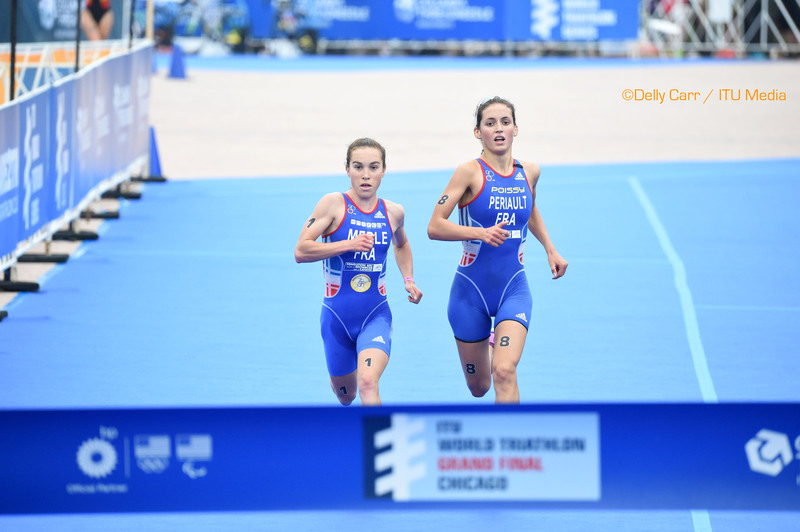 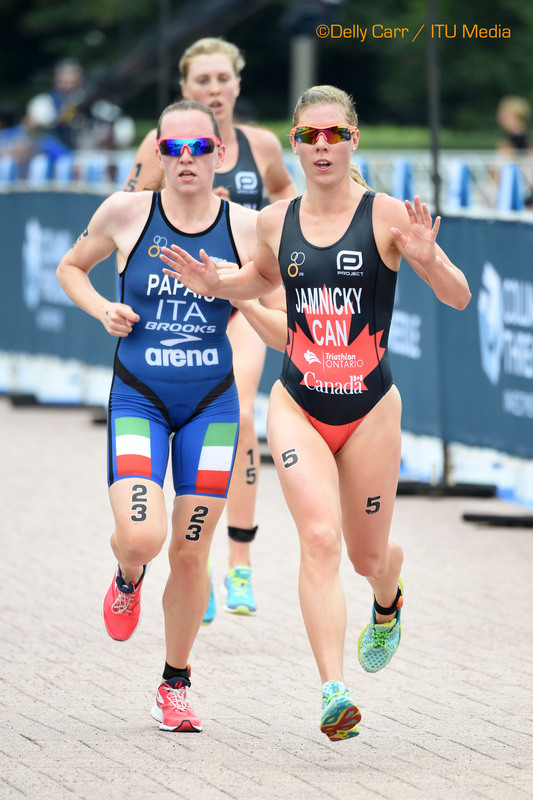 The women's ITU World Championship title will be decided in a heated battle on Friday at the ITU World Triathlon Grand Final Chicago with only 300 points separating the first two women - both Americans. 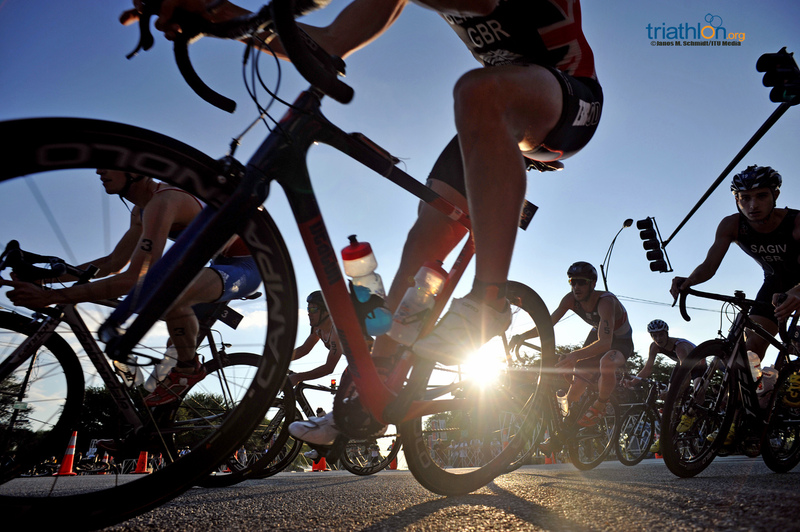 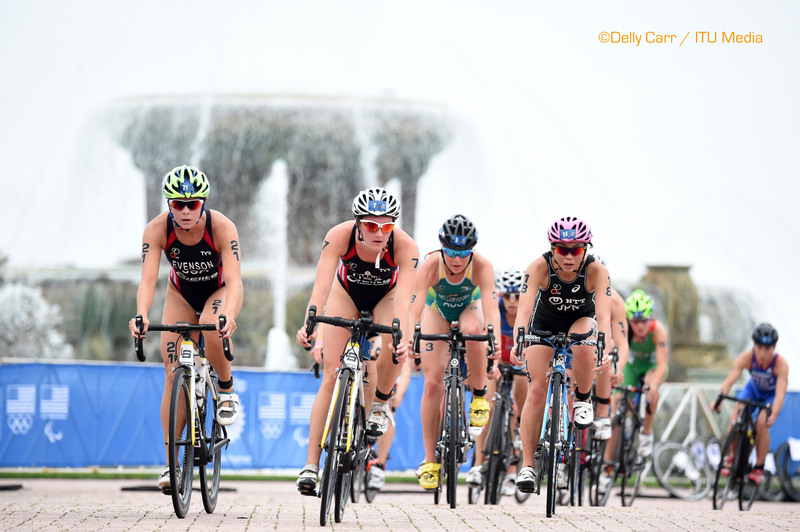 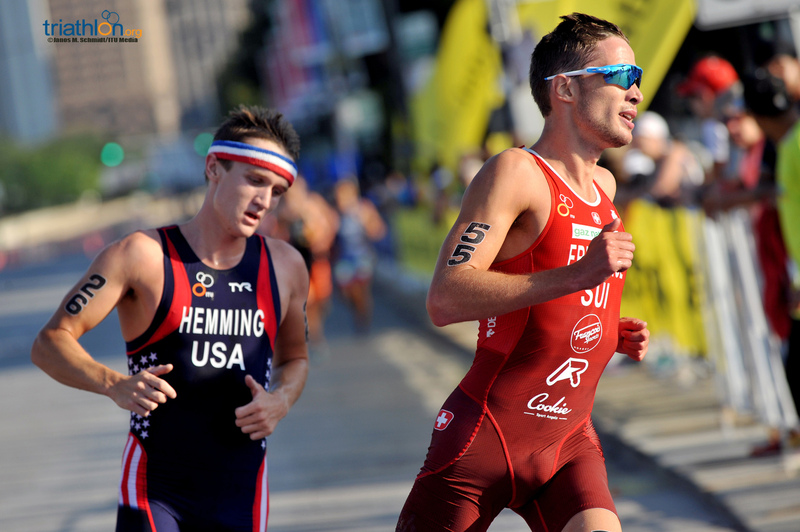 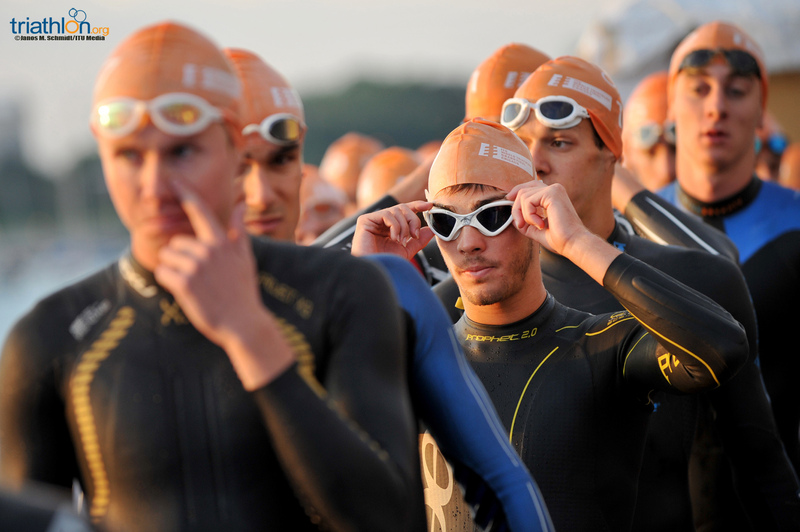 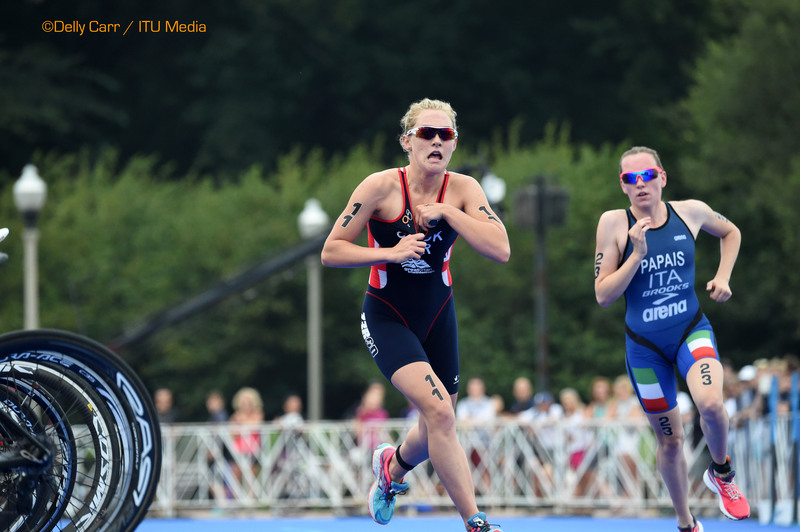 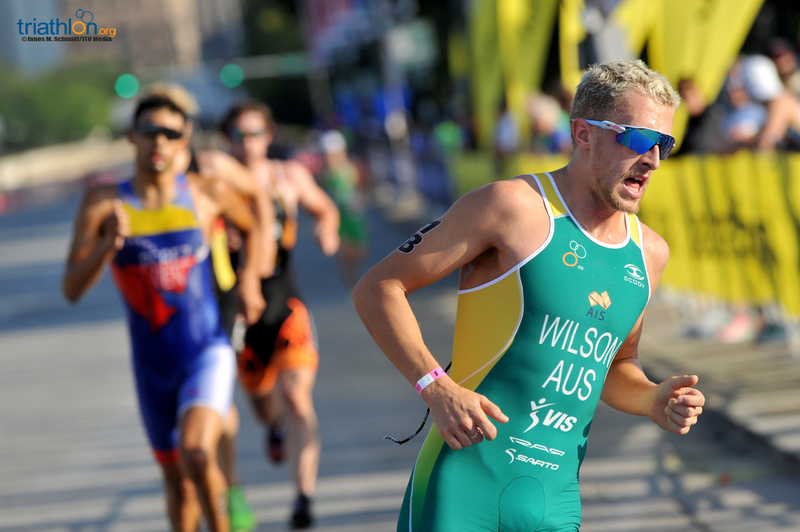 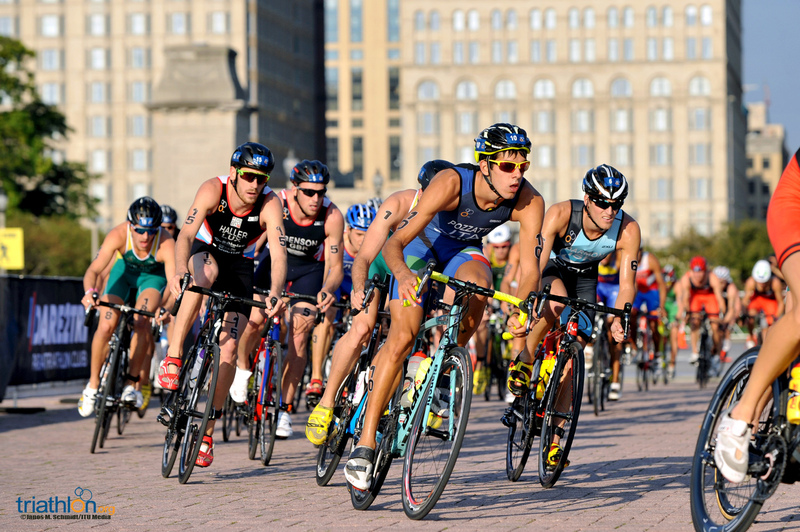 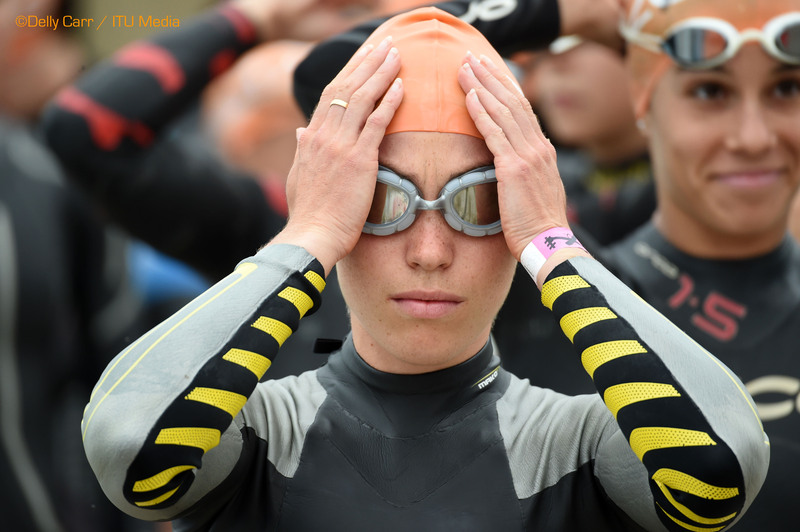 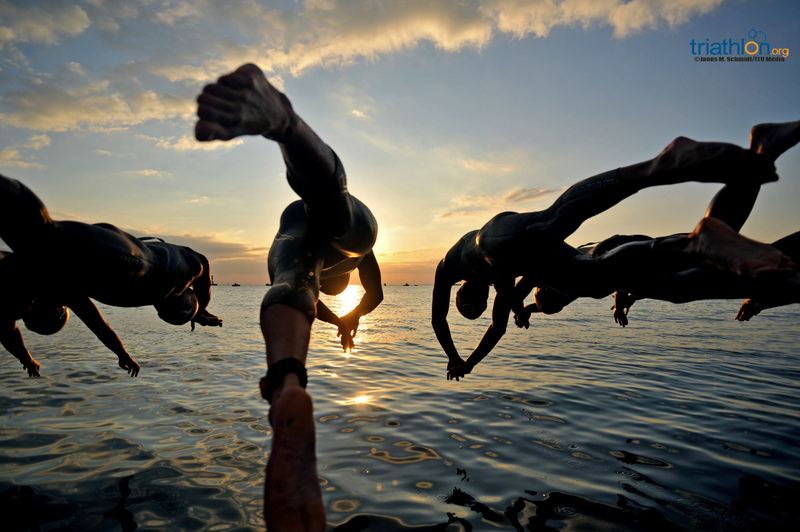 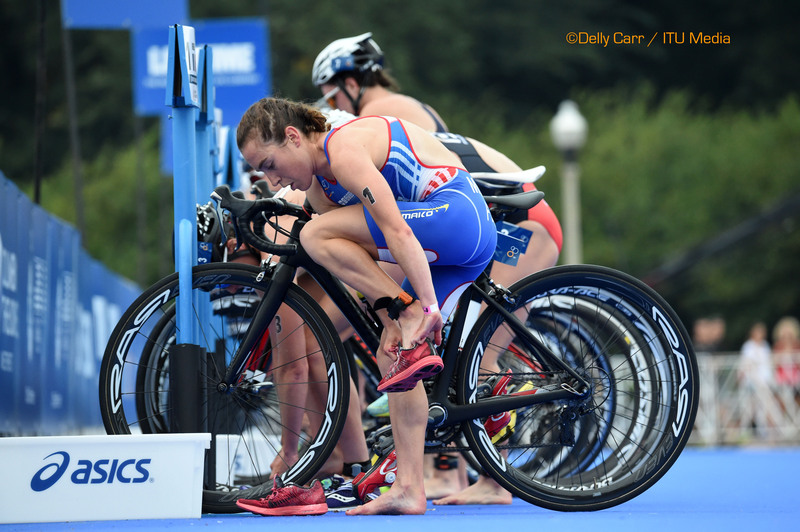 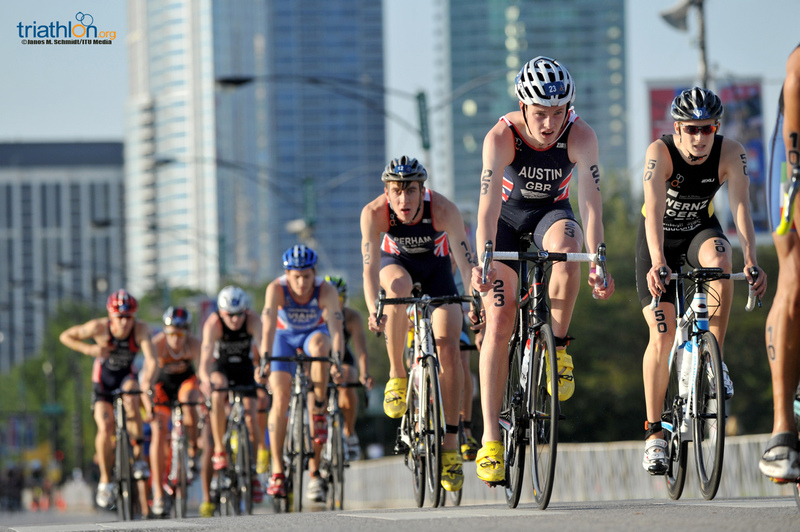 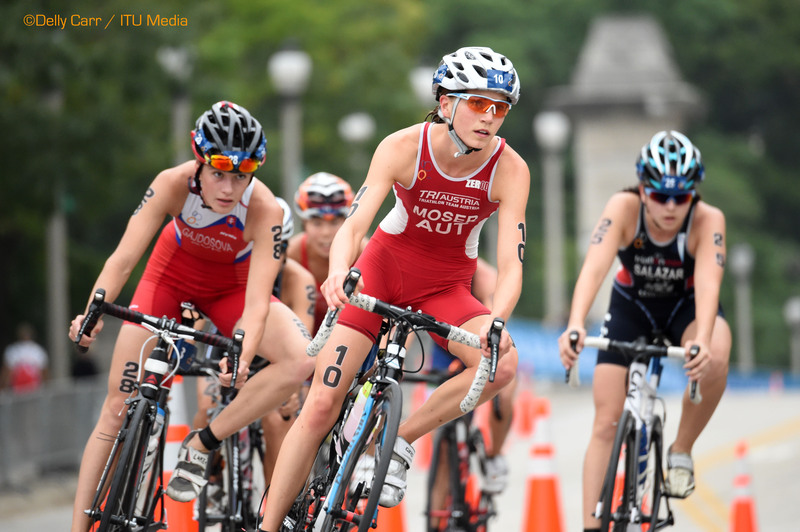 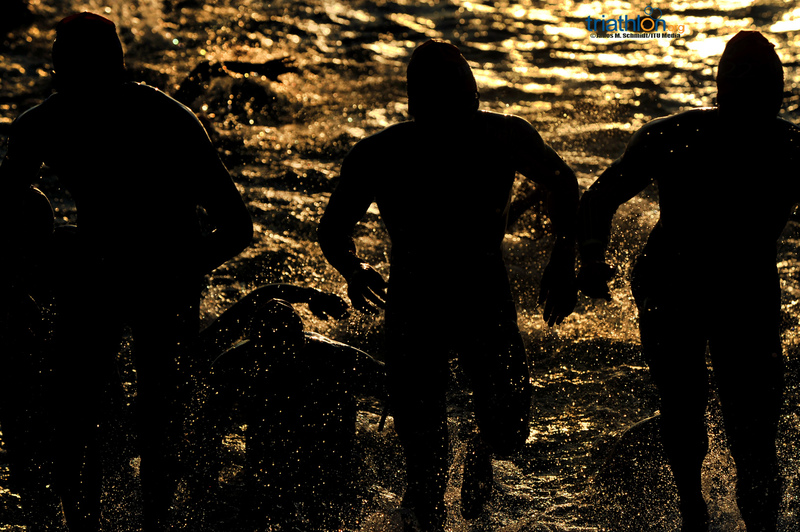 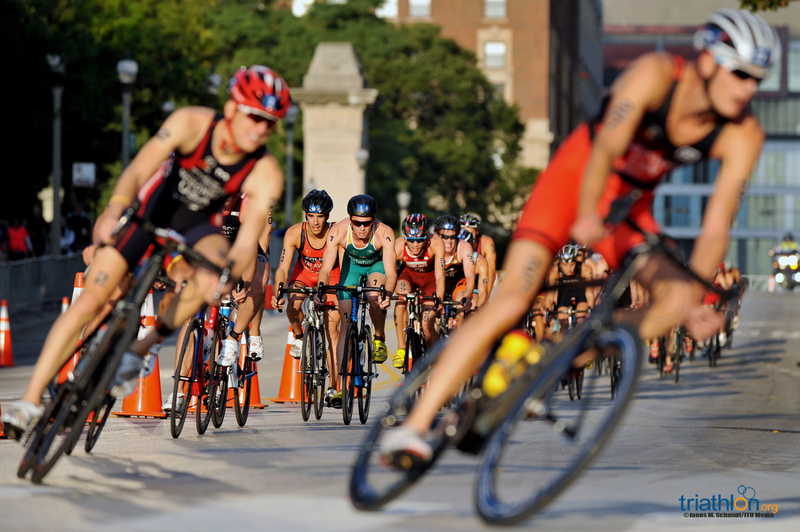 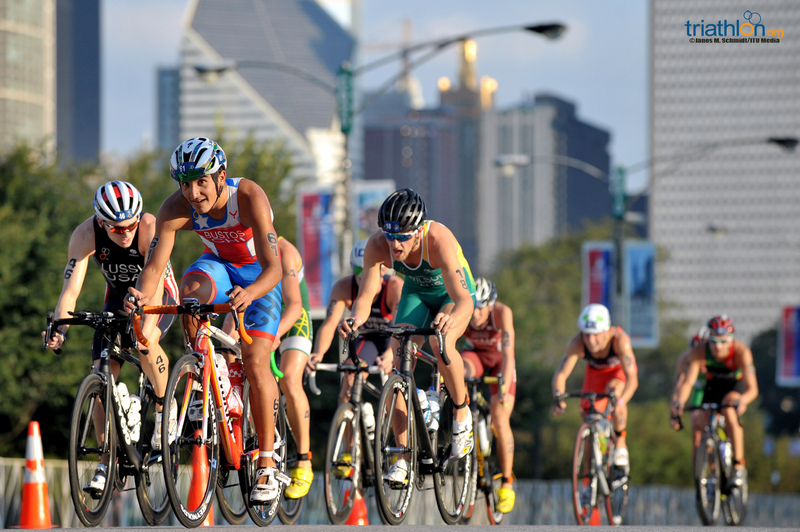 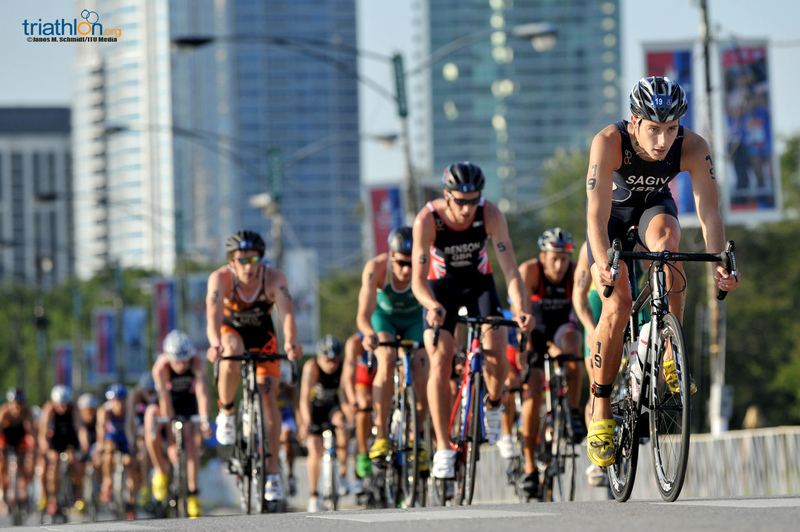 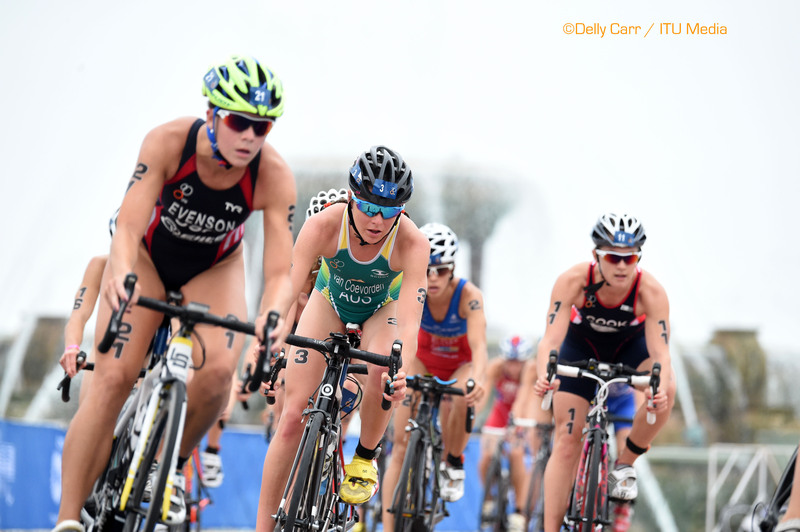 All eyes will be fixated on the world of triathlon this week as the 2015 ITU World Triathlon Grand Final Chicago swings into action.